Lois Ann Kramraj (nee James), age 68 years, of West Bend was called home to be with the Lord on August 9, 2018 at Virginia Highlands surrounded by her loving family. 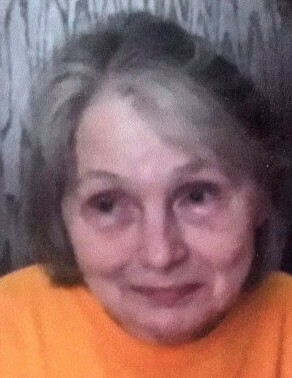 Lois was born on August 1, 1950 in Antigo to LeRoy and Joan James (Bamke). Those Lois leaves behind to cherish her memory include five siblings, Jeffrey (Mila) James, Cheri (Randy) Kroening, Richard (Sandy) James, Lisa (Lawrance) Mueller and Kevin James and two brothers-in-law, James Scarpaci and Conrad Wojculis. Further survived by nieces, nephews, other relatives and friends. In addition to her parents, Lois was preceded in by her son, Derek Kramraj; siblings, Linda Scarpaci, Michael James, Mark James, Mary Wojculis, Kathy Buck; as well as nieces and nephews. Funeral Service for Lois will be held at 4pm on Tuesday, August 14, 2018 at Myrhum Patten Miller Kietzer Funeral Home (1315 W Washington St. – West Bend, WI 53095) with Father Jerry Repenshek officiating. Private interment at Holy Cross Cemetery - Sheboygan. Lois’ family will greet relatives and friends at the funeral home on Tuesday from 2 pm until the time of service.